Over the past 10 years, the Marvel Cinematic Universe has become the most successful movie franchise of all time, earning over $15 billion at the global box office, which includes the revenue from the opening weekend of Avengers: Infinity War. Not only are the MCU movies great at the box office, but they are also great with the critics. There has yet to be a feature installment to the MCU that has earned itself a "Rotten" score on critic site Rotten Tomatoes, so that is certainly a remarkable feat. While the MCU as a whole is great, not every Marvel movie in the series is as magnificent as the last. With that in mind, here is every MCU movie through Avengers: Infinity War ranked from worst to best. 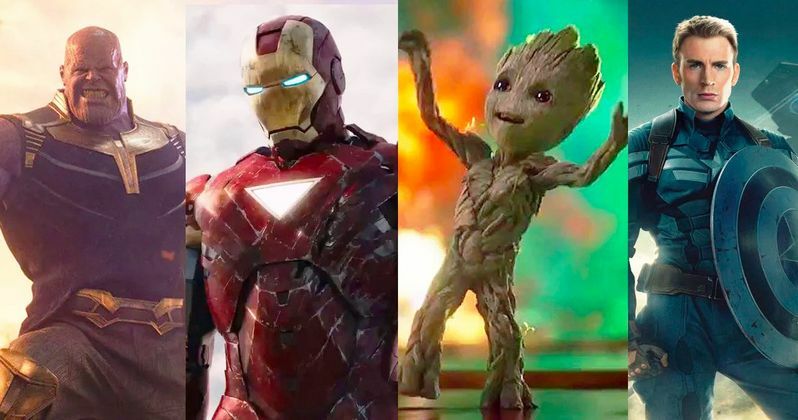 There's a reason why the MCU rarely tries to connect itself back to the second installment in the franchise. While it may have been the best Hulk solo movie we have gotten since the 1980s, The Incredible Hulk really doesn't fair well compared to the rest of the movies in the MCU. The largest issue with The Incredible Hulk was its hard-to-follow narrative, which was supposedly caused completely by the movie's star Edward Norton. Only weeks before the movie's production began, Norton delivered a brand new script written by him that he they demanded they shoot, otherwise he would walk. Frantic to keep their star but also to keep their original story, those in charge of the project chose to shoot scenes from both scripts. Though they fixed many of the movie's issues in post-production, this mix-and-match style really didn't hold up the best, making The Incredible Hulk the worst movie in the MCU to date. All in all, the MCU didn't have the best start, considering that its second and third releases were two of its worst. Iron Man 2 certainly did not stand well compared to the first Iron Man, which was a terrific origin story that arguably revolutionized the superhero genre. Iron Man 2 had the potential to be great, adapting one of Iron Man's best story arcs from the comics, Demon in a Bottle. However, the underdeveloped villains tried to take the spotlight of the movie, despite not having any relatability or posing much of a threat throughout the course of the film. While Iron Man 2 was certainly a fun experience that could have been a lot worse, it also could have been a lot better than it turned out to be. Speaking of underdeveloped villains, the second Thor movie Thor: The Dark World is undoubtedly the pinnacle of Marvel's villain problem. In the comics, the villain Malekith the Accursed was one of Thor's most notable and beloved villains. Unfortunately, this did not carry out on-screen, as Malekith ended up becoming Marvel's most underdeveloped villain to date. The only redeeming factor of The Dark World was Loki, who had a beautiful arc throughout the movie following the death of his adoptive mother. However, Loki became notably absent during the third act of the movie, despite him being the only part of The Dark World audiences actually cared about. By the time Thor had to face off against Malekith at the climax of the movie, we really couldn't have cared less if Thor was successful or not, as the only part of the movie we cared for was no longer present. While Ant-Man wasn't necessarily bad, it wasn't necessarily great either. The movie proved itself to be an adequate superhero movie. It was better than most other superhero movies, but it was still under the MCU's standard. What Ant-Man did great was manage to keep us entertained and emotionally connected to a superhero who can talk to ants, which no one thought was possible. However, it was still not one of the MCU's best, leaving Marvel fans to wonder how much better the movie could have turned out had Marvel Studios not parted ways with the movie's original director Edgar Wright. Like Ant-Man, there wasn't anything necessarily bad about Thor, but it also wasn't necessarily great. Most of the movie felt formulaic, following a basic storyline without many twists to keep us entertained. While Thor was undoubtedly better than its sequel Thor: The Dark World, it still wasn't the strongest movie in the MCU. It served as a proper origin for characters like Thor and Loki, but that's all it really stood as. It was an essential movie in the MCU, but it's not always the most rewatchable.